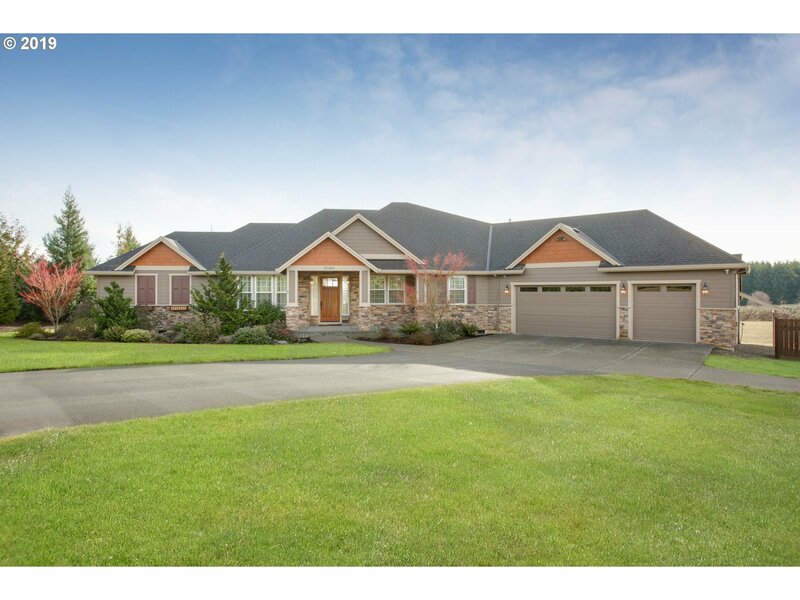 Stunning custom craftsman w/top of the line finishes throughout. Gorgeous kitchen w/granite, huge island, large pantry, SS appliances & restaurant grade hood vent. Great room w/cathedral ceilings, gas fireplace & picture windows w/views of Mt. Hood. Beautiful master suite w/private bath, walk-in closet, fireplace & sitting area. All appliances included. Park like setting w/patio, enclosed orchard, dog run & shop on level 2 acre lot.